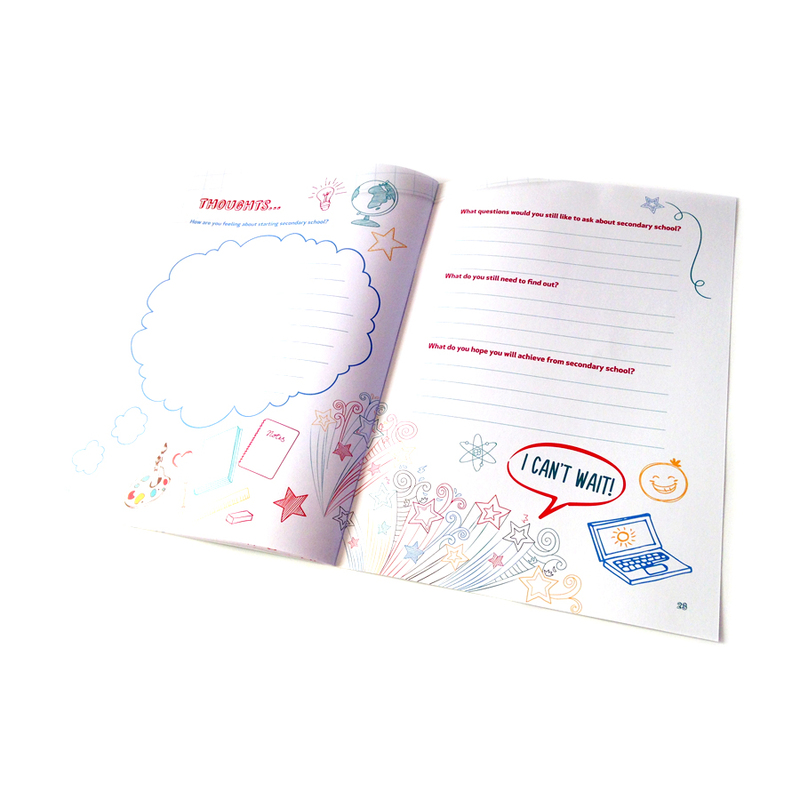 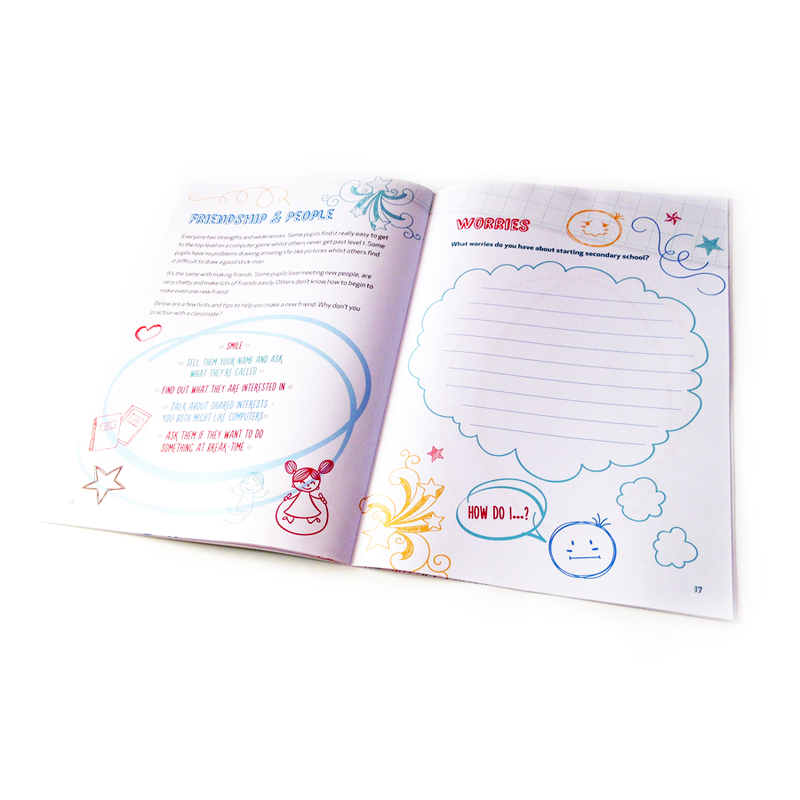 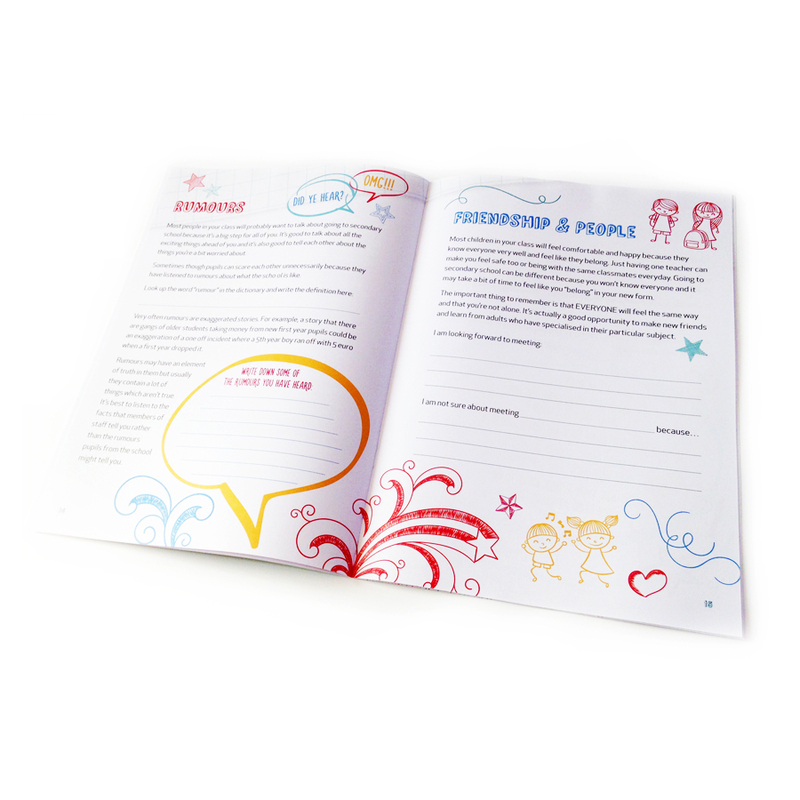 This workbook was commissioned by St. Joseph’s Primary School in Navan to help ease the transition for students from primary to post primary education in a colourful, engaging manner. 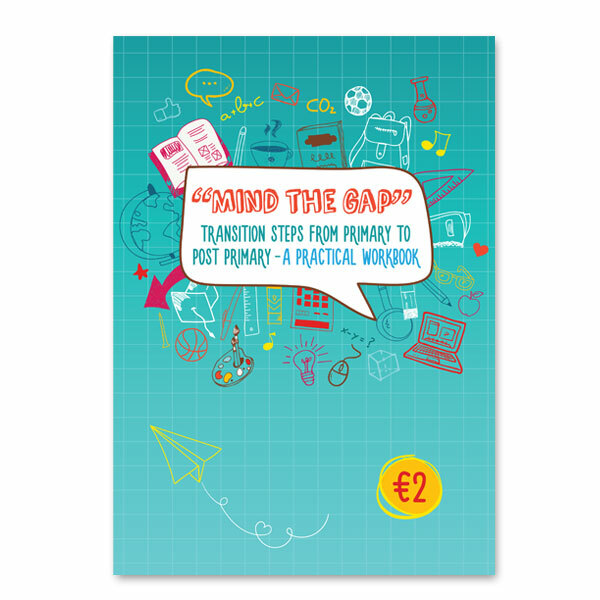 Doodle-style illustrations were used for visual interest, aiming for a style that wasn’t too childish, as pupils heading into post primary want to be considered teenagers, not children. 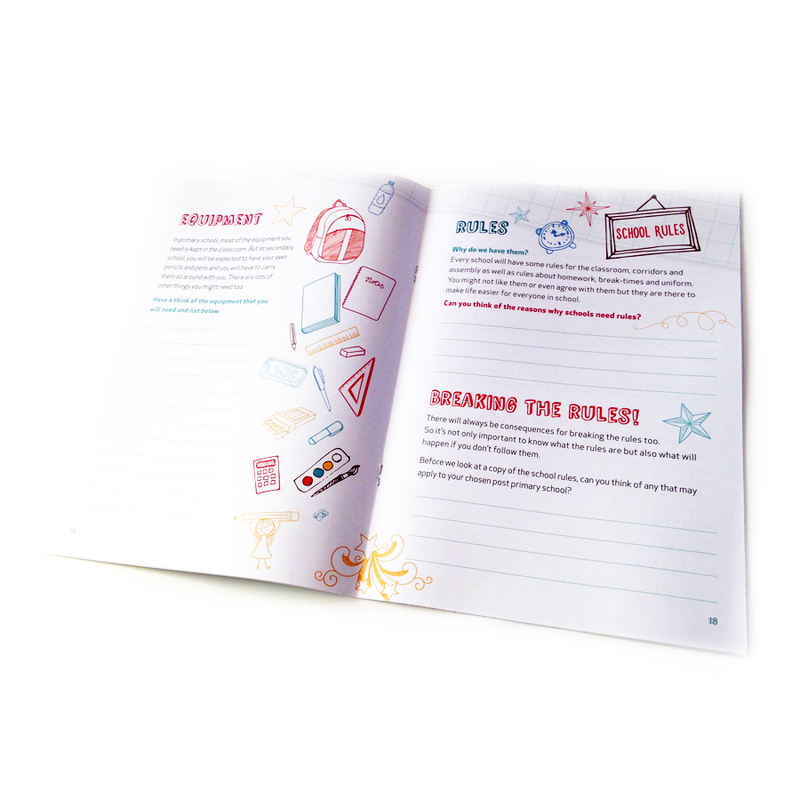 The goal of the workbook is to help students navigate the new environments, academic expectations and social challenges involved in moving into a higher level of education, preparing them for the future and reducing stress levels.